At present, you can use your mobile phone to play Powerball. There are many apps that can be used in any Smartphones for playing Powerball. This app allows the player to choose numbers for Powerball draw. In Powerball, the minimum bet is $2. There are two sets of ball white and red. A player has to choose five balls from a set of 59 white balls and one ball from a set of 35 red powerballs. Players can choose their numbers or can randomly select them from the terminal. 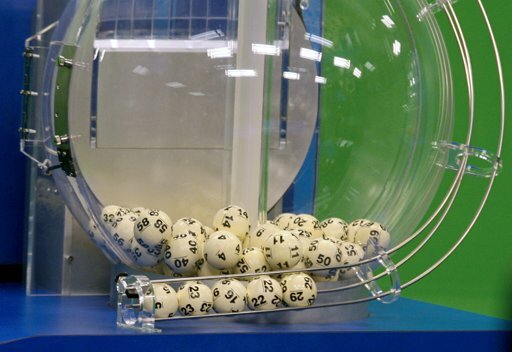 In each drawing winning numbers are selected using two ball machines. In reality, each of the number is chosen in a certain time. In this app numbers are chosen using an algorithm that is specially designed for this app. This is a two dimensional app, and it generates numbers that contain in the specially developed algorithm. This method is unique in the world that acts like real lottery draw. Like real lottery, this algorithm allows the player to choose the number in a certain time. For that reason, it automatically generates both time and number. This unique feature of the Powerball app makes it similar to real life Powerball game. In each drawing, five white balls and one red ball are chosen from two different machines. For winning the game, you have to match at least three white balls and/or the red ball. While you are using this app, you can select the number of even and odd numbers to be generated by the app. There is also an option available for selecting random lucky numbers and some additional numbers; however, that can also be generated in a certain time period. In this process, players may select all the five numbers from a number set of 1 to 59, and one numbers from 1 to 35. Each time you select the numbers the app will automatically set the date to most recent drawings. With this app installed in your phone, you can get the latest information on jackpot with the draw date and present winning numbers. You can get the result and time when jackpot reaches a particular level with push notification. You can check all the previous drawing results using drawing history database. Access the pay out or information about prize level instantly after completing each draw. The most interesting feature of it is; you can save all your favorite or lucky numbers, and can calculate the winnings, and there is always fun and amusement if you dig through your first lucky number.